As the anticipation for the premiere of Game of Thrones' final season reaches unparalleled heights, the show and Columbia records are looking to ease fans with some new music from the recently-announced GoT soundtrack. Two tracks off of the star-studded project are out today. 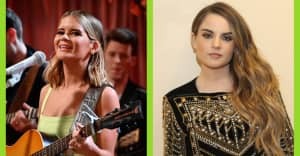 Stream "Kingdom of One" by Maren Morris, and "Nightshade" by The Lumineers down below. For The Throne is due out on April 26, and includes music from the late Lil Peep, Rosalía, A$AP Rocky, The Weeknd, SZA, and Travis Scott. Game of Thrones' eighth and final season will premiere on April 14 on HBO.